In this scene Ferdinand is piling up all the logs as Prospero has commanded him. He says he puts up with this task because he wants to see Miranda again. Miranda interrupts him and tries to make him stop so that he can talk to her instead. Prospero secretly watches them and is delighted they have fallen in love. Take a look at the scene. How are the two characters’ lines different from each other? 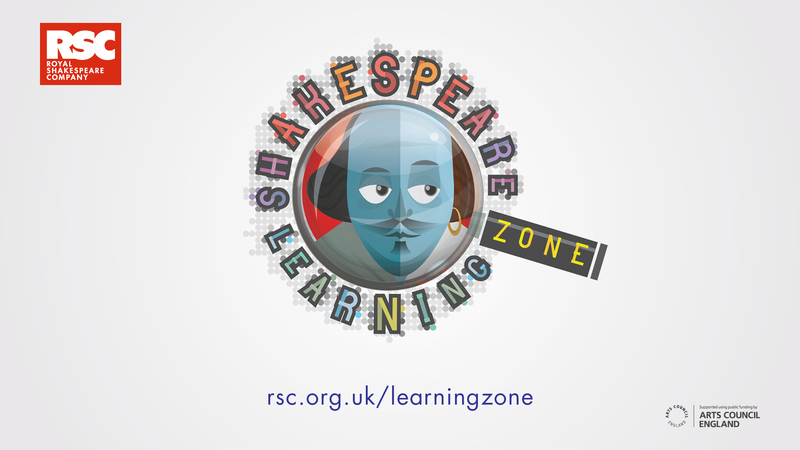 Actors at the RSC often put the language into their own words to help them understand what they are saying. We’ve added some definitions (in green), questions (in red) and paraphrased some sections (in blue) to help with this. You can click on the text that is highlighted for extra guidance. Burnt up those logs that you are enjoined to pile. ’Twill weep for having wearied you. Stop working so hard. If only the lightning in the storm had burned all those logs you wouldn’t be forced to pile them up. How often do you think Miranda has disobeyed her father before now? What gives you that impression? It will be sunset before I have finished what I have to do. Why do you think Ferdinand does not want Miranda to help him carry the logs? What impression does his language give of him as a character? There is often a visual joke in productions at this moment where Miranda easily picks up a heavy log that Ferdinand had struggled with. What impression would this give of Ferdinand and of Prospero's power? Poor worm, thou art infected. How do you think Prospero feels as he spies on his daughter with Ferdinand? What’s dearest to the world! Ferdinand plays on Miranda’s name, starting by calling her 'Admired Miranda' and then combining the two words to make 'admiration'. What does Ferdinand's use of words reveal about him? Read the scene aloud, then watch the actors trying it in different ways. Which way feels right? What in the language makes you think that? Are there any words or lines that really stand out? At the end of the film you will see their final performance. How do the characters come across in this? Explore some images from past versions of Ferdinand and Miranda at the RSC. Which sets and costume choices feel right to you? Prospero watches Miranda and Ferdinand.